Council is back next week with Committee meetings. The Community Investment Operating Grant program is for non-profit organizations whose mandate falls under Social Services, Multicultural, or Recreation/Amateur Sport. As you can imagine, there’s a large number of eligible organizations. The maximum amount an organization can receive is $17,000 and organizations with operating expenses greater than $2 million are not eligible. Organizations can only receive one operating grant per year from the City of Edmonton. The CIOG recommendations for 2015 total $3,486,180 to 251 non-profit organizations in Edmonton. There were 268 applications received. The report includes the full list of successful applicants. Vision – The EFCL Board further develops and articulates a strong, long-term vision for its future based on understanding the components of complete communities, and the complementary functions of EFCL and the Community Leagues. 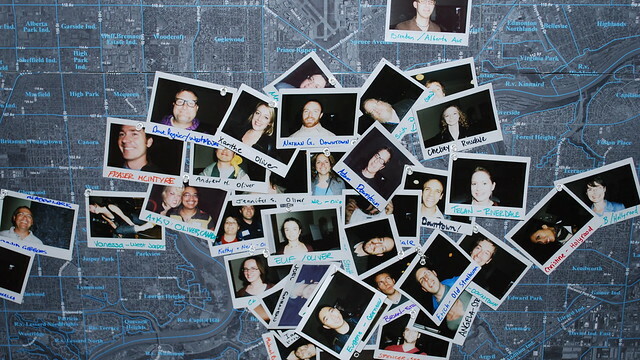 Advocacy & Engagement – The EFCL Board advocates for positive change by engaging leagues and equipping them to engage their communities and advocate for neighbourhood issues, and advocating itself on behalf of all leagues when the issue is city-wide. Broadening Our Reach and Diversity – The EFCL works with Leagues to create better opportunities for social inclusion in their membership and programs. Supporting League Leadership and Capacity – The EFCL focuses on building leadership and capacity in leagues. Building an Efficient Operations Model – As a member agency, EFCL provides effective, efficient and innovative business supports to all leagues, and regularly assesses its effectiveness and benefit. Championing Leagues – EFCL actively and intentionally raises the profile of community leagues and recognizes their contributions and accomplishments. The organization is now working on its 2015-2019 Business Plan to outline activities and projects, timelines, resources, and budget implications for each of those priorities. The Growth Strategy is an $80,000 funding package to help EFCL implement “a sustainable, efficient, and effective approach to realizing the vision” outlined in its Strategic Plan. EFCL is looking for a $40,000 contribution from the City of Edmonton for this project to hire a half-time, temporary contractor. The City has a Partnership Agreement with EFCL and discussions have begun about renewing it. Watch for a report in the second quarter of 2015 on that topic. The primary way the City supports non-profits is through funding, but it works with other organizations that deliver programs and services too. The City says that over the last three years, “fewer organizations are seeking assistance with financial reporting.” They say these organizations are building financial capacity through the resources that are available. Under HR, the highlight is the Shared Services model that was piloted from 2010 to 2013. A group of non-profits are still using that approach to help reduce costs and increase efficiency. The report doesn’t say why the model hasn’t been deployed more widely. There’s not much to take away under IT, aside from the SpaceFinder application that was jointly developed by the City, Arts Habitat, ECVO, and the Multicultural Coalition. Challenges identified include increasing demand for services from the sector, a general shift toward project-based funding which reduces the amount of core funding available, and high turnover on boards. I’m not sure what Councillor Nickel was looking for aside from information on the sector, but I find the report to be lacking in detail, frankly. A couple of Google searches probably would have turned up just as much information. This report is an update on the previous work that Council has done on measuring outcomes for The Way Ahead. The key update is why using genuine progress indicators in tandem with gross domestic product is a good way to measure progress. Over the year, the City is going to be developing a corporate performance measurement registry to house the strategic and key operational measures throughout the organization. There’s a bunch more discussion on the difference between performance measures and indicators, and on genuine progress indicators, in the report. 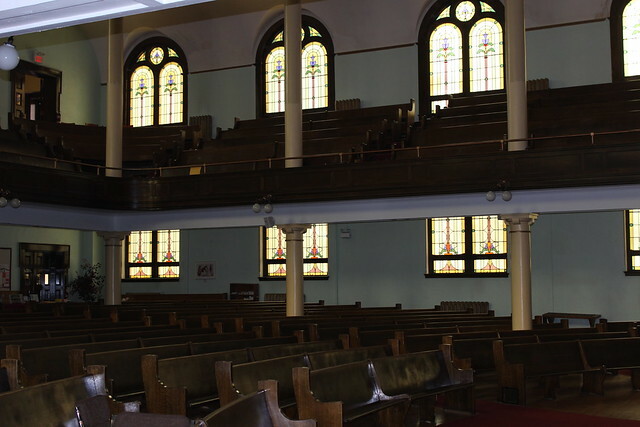 What will happen to McDougall United Church? The total cost to maintain the church over the next seven years ranges from $18.4 million to $25.4 million. If Council wants to direct some funding to save the church, it won’t be cheap, and it could set a precedent they’d rather avoid. The fund balance currently sits at just half the target value, at $26.4 million as of the end of 2014. The report goes on to say that in fact, a balance of 100% of annual operating expenditures is “likely required to maintain operations and cover costs during a typical economic recession.” Cities like Calgary, Hamilton, Ottawa, and Waterloo all target a reserve fund balance of between 100% and 150% of annual operating expenditures. At this time, the City has not developed cost estimates for Internet voting. I still think the City should adopt online voting as an option. The last time this came up at Council, they voted against it citing security concerns. They had a good discussion about the issue, but my much more cynical take on it was at the end of the day, mayoral candidates were afraid that Don Iveson would use his connections and tech savvy to take advantage of online voting to win the election. Clearly that won’t be a concern in 2017 because, well, he handily won the last offline election didn’t he? The City wants to spend $1.9 million over the next four years on CAD software from Bentley Systems. The City has 800 active users of the software and has been a customer since 1977. A report on Brownfield Remediation and Redevelopment Grant is expected but is not yet available. Council will be discussing possible amendments to the way inquiries are made, as a result of concern that the current rules are too restrictive and don’t allow Council to act quickly enough. There’s an update on the Belvedere CRL, which is financing $34.25 million through December 31, 2032. How much money would we have to spend? If that were applied to debt servicing costs, that would translate into about $1 billion in capital funding. In order to fund future LRT expansion, Council will need to have either an appetite for more debt, the desire to increase taxes, the ability to get more money from other orders of government, or more likely, a combination of all three. Transit riders complain about escalators being out of service all the time at LRT stations, and this report summarizes the current status and way forward. There are currently 37 escalators in the LRT system. In 2014 (to the end of October), reliability for escalators was 83%. Total impact of major interruptions was 990 days. The life expectancy of an escalator is 30 years. The oldest one of ours is 36 years. Escalators break down because of age, vandalism, power outages, and of course sand, snow, and other debris that requires regular maintenance. The current elevator and escalator maintenance contract expires this year, so the City will be refining the proposed contract before renewing in an attempt to improve service. ETS has a target reliability figure of 90% based on an average of 36 days out of service for preventative maintenance. The 2015-2018 Capital Budget included $11.874 million for the end of life escalator replacement program. Six escalators are scheduled to be replaced using that money: three at Central, one at Coliseum, one at Stadium, and one at either Bay or Corona. TIL there’s an organization called the Alberta Elevating Devices & Amusement Rides Safety Association. Who knew! The City is progressing with plans to replace parking meters with pay-by-plate technology, with implementation set to begin in May. 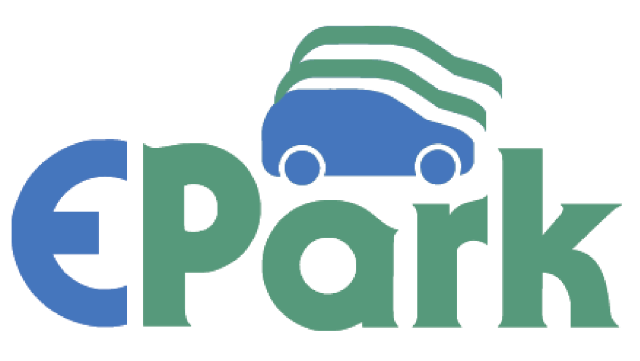 They want to contract the City of Calgary to make it happen, noting that its ParkPlus system is “the only fully automated pay-by-plate parking management solution operational in Canada.” The particulars of the agreement are still being negotiated, but the City is looking for a four-year deal that would include all software and services, plus training. Like I said, it’s not pretty. The City is looking for $10 million from Council to continue with the Smart Bus Initiative. They’re also looking to spend $11.6 million out of the Photo Enforcement Revenue Reserve Fund to improve pedestrian safety with traffic signals. 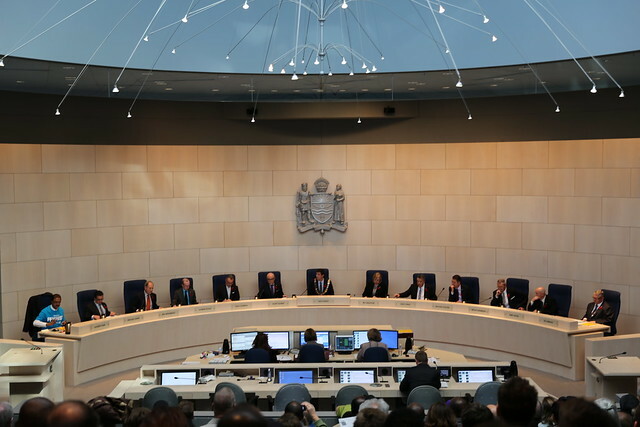 There’s a response to an inquiry from Councillor Oshry regarding complaints about traffic noise from people who live near Anthony Henday Drive. My report would be much simpler: IF YOU LIVE NEAR ANTHONY HENDAY DRIVE, DEAL WITH IT OR MOVE. It’s not like the highway appeared one day without warning. Seriously. There’s also one verbal report, on waste management, that is private under sections 16, 24, and 25 of the FOIPP act.